The Real Wine Fair is set to represent around a third more countries when it returns to London for its sixth year in May, as interest in natural, low-intervention, organic, and biodynamic wines grows. Around 170 artisan and small producers from 23 different countries will represent the sector in London this year – an increase of around a third on 2017’s show, when 160 producers from 15 countries took part. The 2019 show will include a number of UK producers for the first time, along with producers from Greece, Poland, Slovakia and Serbia. Organiser Doug Wregg of natural and artisan wine importer Les Caves de Pyrene said there will be around 50 new producers at the 2019 show, including producers from Georgia, Croatia, USA and Australia. Meanwhile France and Italy would remain a strong focus for the show, with growers from 14 different regions of Italy, from Sicily to Piedmont, while Central Europe was also very well represented. Running alongside the show is Real Wine Month, a month-long celebration throughout May, in which more than 300 bars, bistros, restaurants, and independent retailers and wholesalers across the UK and Ireland will embrace low-intervention, organic, biodynamic and natural wines and promote them to their customers, serving them by the glass or offering discounts on bottles. During the 2017 campaign, there were around 50 additional events, ranging from tastings, wine dinners, masterclasses and grower takeovers alongside the campaign. Wregg said that although hard data on the increasing popularity of real wine and stats of producer numbers was hard to gather, there was plenty of anecdotal evidence to demonstrate the proliferation of natural wine bars since 2010. “Virtually, every enquiry we receive is from new customers who are setting up on- or off-trade businesses specialising in organic, biodynamic, low intervention or natural wines,” he told db. Wregg added that contrary to the perception that natural wines did not age well, lees-aged and oxidative whites, or wines with higher acidity, amber/skin contact, and traditionally-made low sulphur reds had the wherewithal to “age beautifully”. 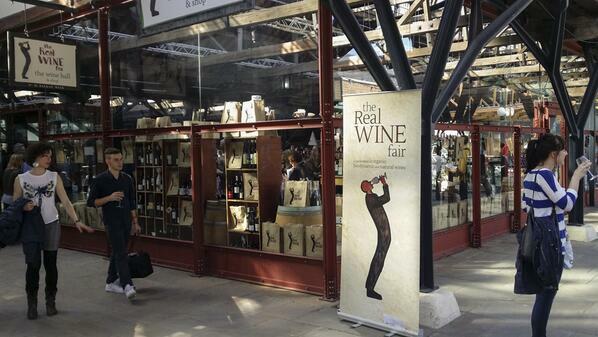 The Real Wine Fair will take place at Tobacco Dock in Wapping, east London on 12 -13 May, with the Real Wine Fair Ireland, organised by Le Caveau in Kilkenny, taking place in Dublin on 15 May for the second year.